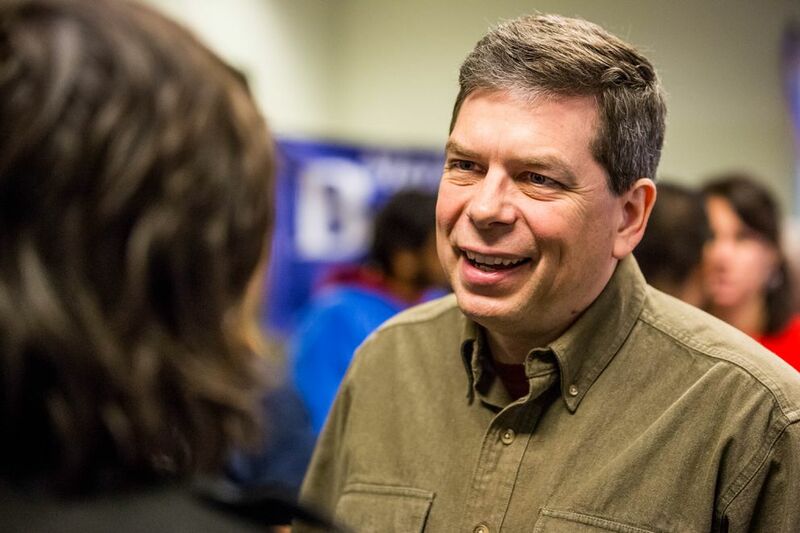 Former U.S. Sen. Mark Begich, a Democrat, on Friday confirmed what Alaska's political world has long suspected: He's contemplating a bid for governor next year. Begich, in an email to supporters with the subject line “Governor?”, wrote that he’s considering a campaign. But along with his wife, Deborah Bonito, he hasn’t made a decision yet, he added. Begich said he hopes to make up his mind in the next few months and asked for comments from recipients of his email. "Should I or shouldn't I run for governor? Do you think Alaska is on the right path? What are your biggest hopes and concerns for our future?" he asked. Begich declined to comment further, telling a reporter in a text message that ended with a smiley-face emoji, "The letter speaks for itself." The contours of Alaska's 2018 gubernatorial election have been taking shape over the past few weeks, with incumbent Bill Walker, an independent, filing for re-election Monday. State Sen. Mike Dunleavy, R-Wasilla, has also declared his intent to run, and several other potential candidates have said they're weighing whether to contest the GOP primary.